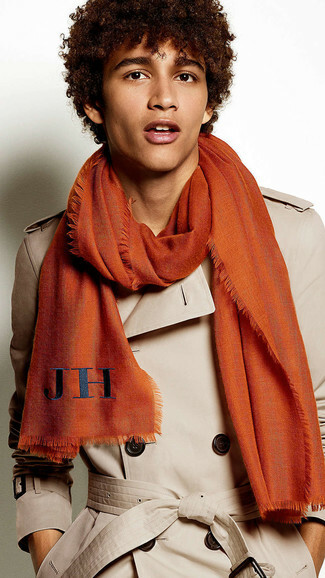 This combination of a grey raincoat and an Altea orange scarf makes for the ultimate casual style for any modern guy. 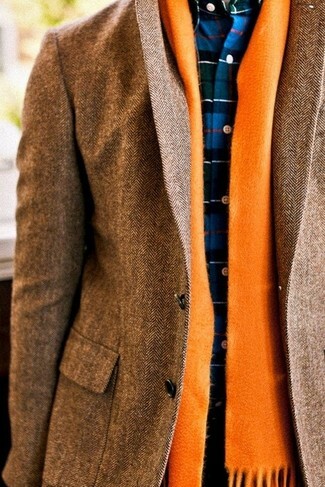 Complement this outfit with a pair of grey suede desert boots to instantly kick up the style factor of your getup. Want to inject your closet with some off-duty style? Opt for a violet pea coat and an Altea Oblong Scarves. Add a sleeker twist to this getup by wearing a pair of tan suede driving shoes. 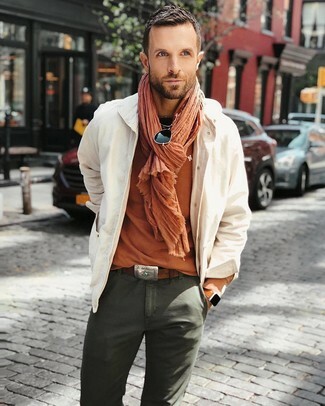 If you're in search of a relaxed yet on-trend ensemble, make a brown herringbone blazer and an Altea Oblong Scarves from yoox.com your outfit choice. A tobacco leather bomber jacket and an Altea Oblong Scarves are a must-have casual pairing for many sartorially savvy gents. 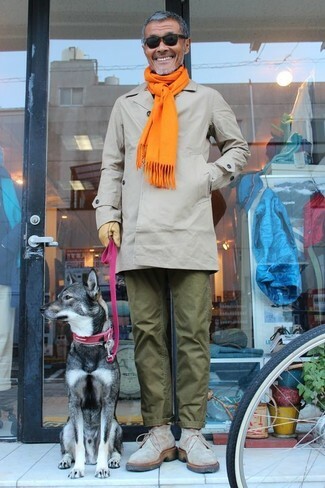 To bring a little zing to this outfit, go for a pair of brown leather oxford shoes. 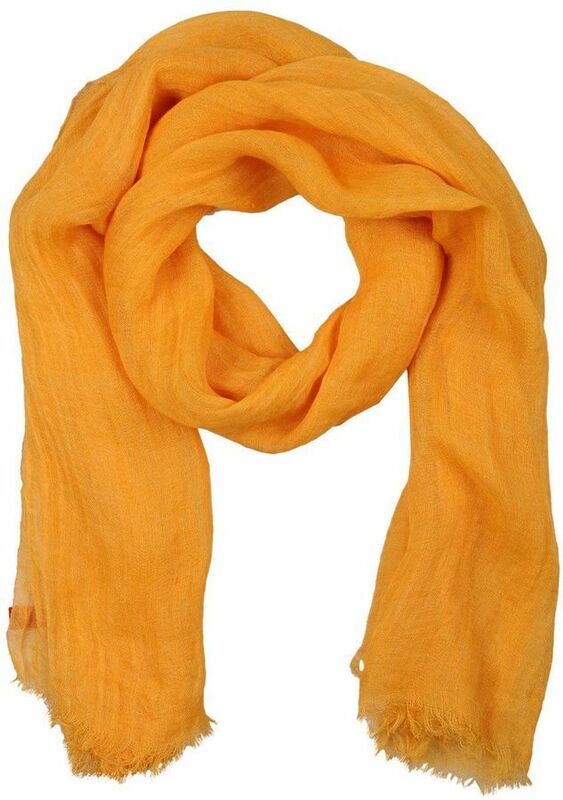 Go for a beige shirt jacket and an Altea orange scarf if you're on the lookout for an outfit option that is all about contemporary style. Reach for a tan trenchcoat and an Altea Oblong Scarves for a relaxed take on day-to-day looks. 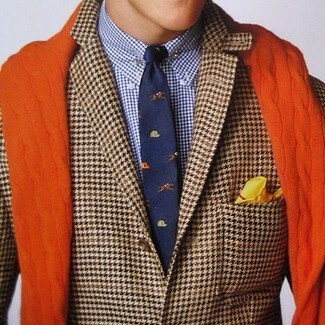 A brown houndstooth blazer and an orange scarf are a relaxed pairing that every trendsetting guy should have in his off-duty routine. 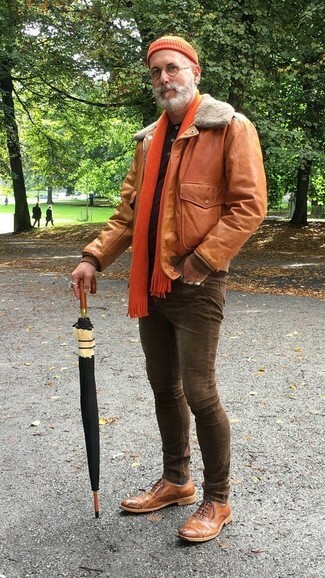 Pairing a black leather biker jacket with an Altea orange scarf is an on-point choice for a casual outfit. Brown suede casual boots will give a bit of polish to an otherwise utilitarian look.